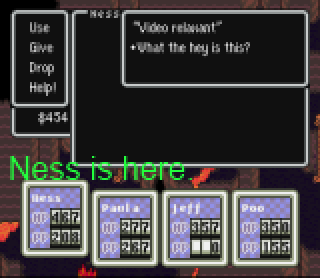 This is the hacking version of EarthBound(USA). 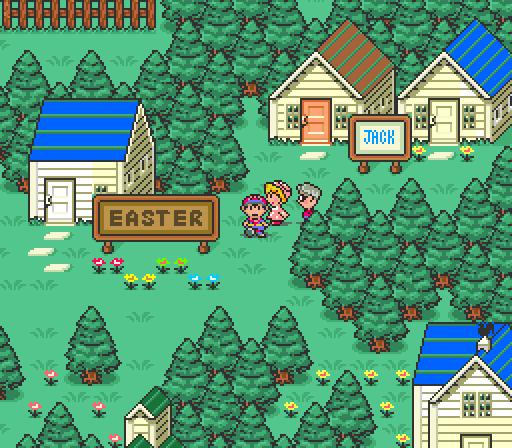 EarthBound is Shigesato Itoi's charming, cult-hit RPG about aliens, teenagers, and psychic powers. Now you can add videos, screenshots, or other images (cover scans, disc scans, etc.) 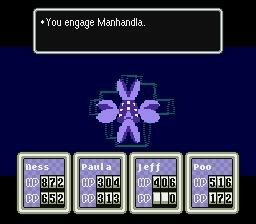 for EarthBound (USA) [Hack by Blue Antoid v2.0] (~JonBound - Dark Future) to Emuparadise. Do it now!